Bands can spend thousands on production, but some of the best albums come from a noisy home recorder in someone’s bedroom. 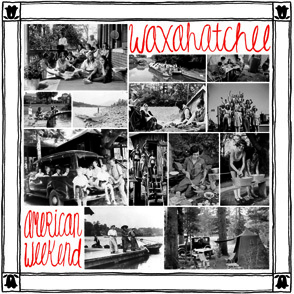 American Weekend is one of those albums. Waxahatchee is Katie Crutchfield, formerly of PS Eliot. She spent a week in her Alabama bedroom recording her lo-fi diary. Her lyrics are simple, but often quite striking, calling to mind lo-fi poet laureate John Darnielle of The Mountain Goats. The noisy 8-track recorder recreates Crutchfield’s bedroom and invites the listener in. It sounds like home — hers and yours.